Undergraduate student Matthew Robinson shares his experiences studying abroad in London. It has been an exciting few weeks since I last wrote. 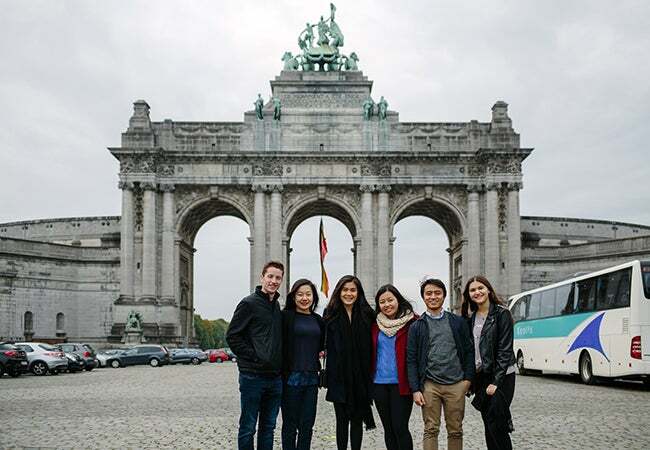 As I mentioned in my previous post, I traveled to Brussels as part of the Business and Political Economy program. The weekend spent in Brussels was a great one, thanks to Stern. Brussels is home to the headquarters of both the European Union and NATO. 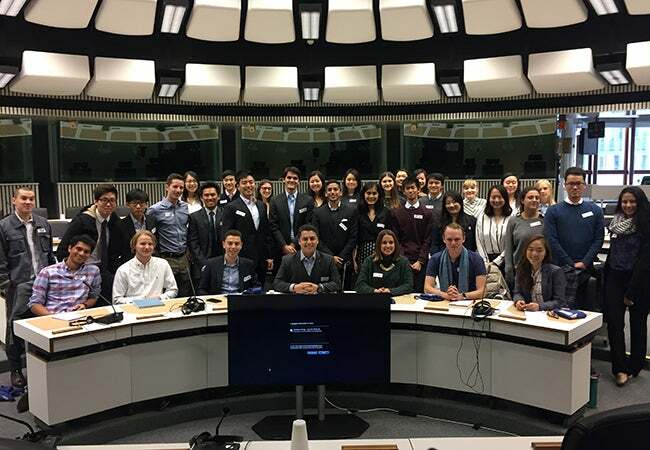 The trip was the cornerstone of a short BPE course called “European Integration and the New World.” We spent a lot of our time focusing on the EU and its three main legislative bodies. The first is the European Commission, which is comprised of delegates appointed by national governments to represent interests from across the Union. Second, the European Parliament is made up of members directly elected by citizens to represent their interests. Lastly, the Council of the European Union is comprised of the heads of state from each country to promote their country’s goals. One of the main highlights of the trip was our visit to the European Commission. At the Commission, a representative who works on legislation for European fisheries talked to us in one of the large meeting rooms. 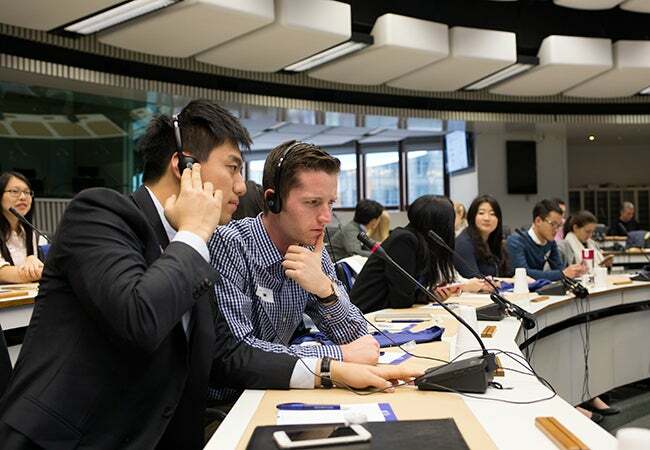 The sides of the room were lined with glass booths for translators, as the EU has 24 official languages (which also adds lots of work for producing legislation). The woman from the Commission told us about legislation she had worked on for fisheries where the translation had changed the wording from “dicing” to “slicing” fish in the final version of the bill. However, fisheries in Spain needed the ability to dice fish as it is more attractive to sell it that way for use in the popular Spanish dish paella. It took nearly six months to get the legislation wording changed so that fisheries in Spain were legally allowed to dice a certain amount of fish when selling to the market. She shared some of her other experiences and discussed the evolution of the EU, as well as its future development. It is a tumultuous time for the EU as it deals with the impending exit of the UK. It is also facing the migrant crisis (which was one of the influencing factors of Brexit). On top of that, growing nationalist political movements threaten to undermine the legitimacy of the EU. The EU is focusing on a set of defined goals for the coming years to help ensure its future success, but, as the woman from the Commission discussed with us, it is an uneasy time. It was a great experience to spend a few hours hearing her illustrate how the EU sees itself as well as talk about hot-button issues. Moving to another part of the EU, we visited the European Parliament. 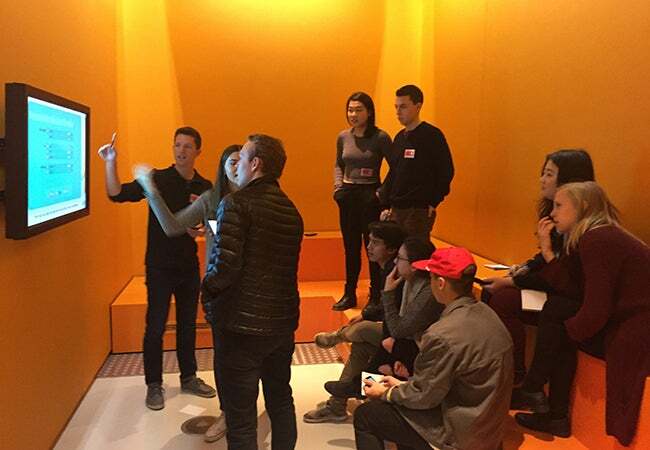 There, we did a simulation created by the Parliament at the “Parlamentarium,” a museum dedicated to the European Parliament. The simulation took a couple of hours and walked us through the process by which Members of European Parliament (MEPs) work to negotiate and pass legislation. First, we were split up into political parties and given an identity. I was a Spanish MEP who was part of the liberal party (there was also an environmental party, conservative party and libertarian party). We then split our party members into two teams, one for working on legislation about updating water infrastructure in Europe and the other for legislation on micro-chipping citizens. We then did work gathering research from EU policy doctrines, digital simulated conversations with constituents and messages from our party’s leaders. From there, our party met to determine our positions on each bill, deciding what conditions and amendments we wanted before voting to pass them. Then we met in committee for each bill. I was on the micro-chipping committee. When meeting in committee, we negotiated with the other political parties to create amendments. Things got a little heated, but we finally used our phones to vote on the conditions of the bill for presentation before the full parliament. No one was thrilled with the outcome. We next went into a full session with the other half of Parliament who had been meeting in committee for the water bill. In the full session, for each bill a party representative gave a short speech on why their fellow MEPs should or should not vote in support of the bill. In the end, the bills failed miserably and neither one came close to passing (50% approval). We then reconvened with our parties and set out on formulating more arguments for our positions. All of the sudden, a natural disaster struck part of the EU. This created more of an urge to update water infrastructure and boosted the argument of micro-chipping for health and identification purposes. With our citizens now fired up about the legislation, the parties were more willing to make sacrifices to get them passed. Later, we went back into committee sessions again to renegotiate the conditions of the bill to be voted on in another parliamentary session. The President of the European Parliament also weighed in on the bill as we passionately made deals on the bill’s conditions with the other parties. Once again, we eventually went into a full parliamentary session. This time, we were able to pass the micro-chipping bill, but not the water bill. It was a mildly disappointing result, but based on how difficult the negotiations were, getting one through was still a victory. Everyone had a great time, and we’re all still good friends despite instances of betrayal and fierce emotion as we dutifully upheld the values of our political parties and citizens. 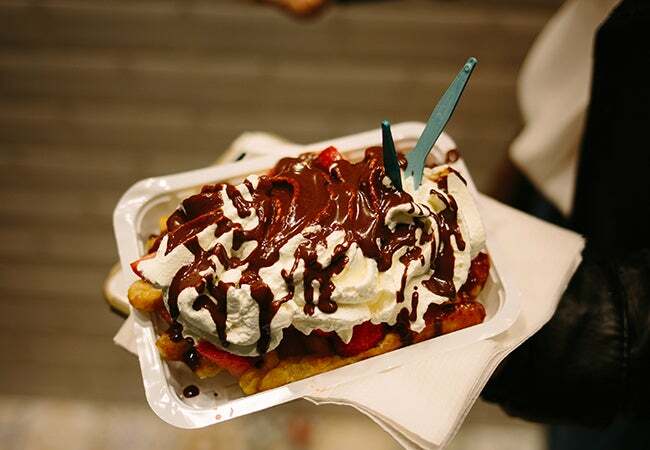 We did a few other things in Brussels as well, including a tour of all the important sites around the city and a visit to a “waffle workshop.” At the workshop, we learned how to craft a true Belgian waffle (and also eat them). 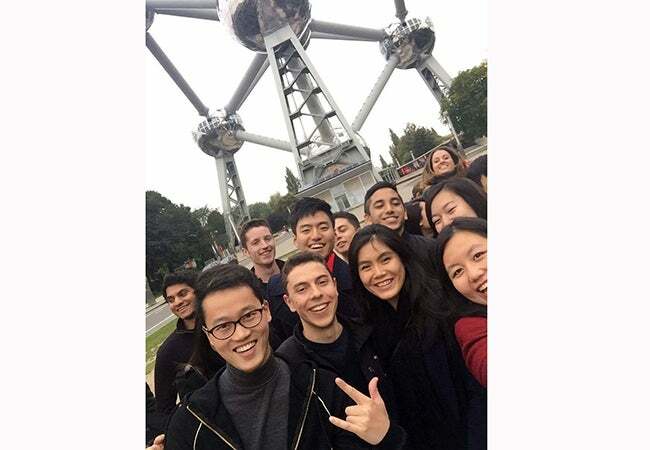 Overall, it was a really fun trip, and we gained valuable insight into the inner-workings of the European Union while getting to explore a unique city in a country that might be small, but is home to institutions of great power. Thanks for reading! Check back to hear about my fall break as the semester starts to wind down. Cheers!